How Do I Keep My Dogs Out of Garden Beds? Your dog may be trying to find a cool spot, is bored or is trying to escape. Whilst it is possible in a dog's nature to dig, there may be some reason as to why that you can address. Dig up the root cause of why your dog is digging. Most often than not, there are other underlying factors that you need to be aware of, in order to help your dog quit the digging habit. Determining your dog’s needs could be the spot on solution to your problem - if your dog often tries to find a cool spot to stay, you can get him/her a dog kennel and make sure to establish a safe and comfortable area for your dog. Also, if your dog lacks playtime with you or walks at the park, he/she is most likely to dig. So, it is highly recommended that you get interactive dog toys or chews to stimulate your dog away from digging up your garden beds and eating your plants. Now, if your dog always tries to escape… Tip # 3 would be the best solution. You can spice things up in the garden... or make the whole garden bitter to help you stop your pooch from eating your plants. Use chilli, coffee, mustard and citrus. This is one of the most clever techniques that may stop dogs from eating the plants in the garden - the smell is often enough to keep them out of your garden beds. A vet, Dr. Susan Wright, shared these tips of keeping dogs out of garden with Gardening Know How. To keep things naturally spicy in your garden - mix water with a hint of chilli, add some mustard and crushed dried pepper. Spray this mixture in your garden beds to keep your dog's snout away from your plants. To make things aromatically bitter in the garden - use coffee and bitter citrus, these could be your new favourite natural dog deterrent! Plus, coffee grinds can be really good fertilizers. So, dissolve citrus or oranges on used coffee grinds and sprinkle these grinds in your garden beds. Now, the pitfalls of these natural deterrents are wet and cold weather - if it rains, you’d have to apply the mixture or grinds in the garden beds again and again. Keep your dogs away from garden beds by installing a reliable Electric Dog Fence - this system is extremely helpful if you have a stubborn hound. Invisible Dog Fence systems have been widely used to protect garden beds with well-thought, safe and clean garden beds and gates boundary wire layout. A Dog Containment System such as the Pet Barrier Dog Fence replaces some unsightly and expensive regular fences that are often inefficient in protecting your garden. Not to mention covering the beauty of your plants. So, you need to find the best groundskeeper system that you can trust. The system that you can rely on to keep your dog out of the garden beds. Now, take a look at the Pet Barrier Invisible Dog Fence Kit - this is the Electric Dog Fence that we highly recommend. The best Dog Containment System by far, in the market of Australia. Protecting Garden Beds: How Does the Invisible Dog Fence Work? Your kit includes a transmitter - this is where the radio signal comes from, the signal travels through the boundary wire that you will set around the garden beds. Your dog’s receiver collar will react to the signal around the boundary wire - if your dog goes near the garden, he/she will hear a beeping tone as a warning from the collar, to back off from the garden. If your dog continues to go near the garden, he/she will then receive a harmless static pulse to deter your dog away from the boundary. Don’t worry, these static corrections are safe and NOT painful... but they are annoying enough to keep your dog away from the garden beds. Soon enough, your dog will be able to associate the static stimulations to getting near the garden or digging things up. Your dog will eventually quit such behaviours - effectively training your dog to stay out of the garden beds. Each equipment in the kit is covered by a 3-year manufacturer’s warranty. Now, if you upgrade to premium receiver collars, you’ll get the collars covered by the lifetime warranty. All receiver collars of the Pet Barrier Electric Dog Fence is covered by a Chew Warranty. Even though we all know that these collars are super TUFF, they are still covered by this unique guarantee since some dogs are just extreme chewers. Unlike any other Dog Fence systems, Pet Barrier is designed with a unique digital code on the transmitter - emitting the FM Radio Frequency that is uniquely recognised by the receiver collar. This is to ensure that the radio signals will not bounce. 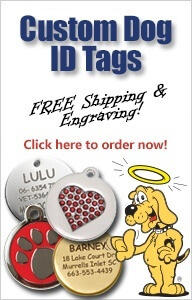 So, your dog will not get zapped by the receiver collar for the wrong reasons. This is also to make sure that the system will not interfere with other electronics that use radio signals. The power plug that comes in the kit is designed with a green earthing wire which helps direct any extra electric energy to the ground in case of power surges, usually from lightning strikes, to protect your transmitter. This feature is very important and saves you more money BECAUSE it will cause you more than $250 just to replace a transmitter damaged by power fusions. The boundary wire of Pet Barrier Electric Dog Fence is coated with High Density Polyethylene (HDPe) - this has been rated with 20 years of UV resistance. Inside the wire, is a 1mm 7 strand copper core. These features make the wire almost impossible to break. So, you can just place the wire on the ground or hang it on your regular fence - it won’t easily break down in the sun. You can also bury it to the ground and not mind gardening around it. The receiver collar is designed with the fast react technology - 1/8th of a second. This is to prevent dogs from running through the boundary, escaping and getting in the garden. The collar will be able to immediately detect the radio signal from the wire and deliver the static correction to your dog as he/she pushes through in a quick manner. Thus, no matter how fast your dog may seem to move, this feature effectively deters your dog away from the garden. Yes, you won’t ever need to call up an electrician just to install the Pet Barrier Invisible Dog Fence around your garden beds. The kit includes an easy-to-follow installation guide, operation manual and comprehensive training guide. PLUS, we have a 7-Day Help Line that you can always reach if you have questions about the installation. Call 1 300 THE DOG. That’s 1-300-843-364. Pebbles could solve your trouble with a dog digging up your flower beds. Scatter pebbles around your garden beds - most dogs do not like walking on pebbles since their paw pads will mostly get stuck. However, you need to find pebbles that are just the right size so this technique will be effective in stopping your dogs from digging up your flower beds. Creating a special dog digging pit is one of the inventive techniques you could do to keep your pooch out of your garden. If you have a spare area in your yard that you could willingly give to your dog as a playground, install a sandpit - this a fun alternative to digging up plants. You can hide odorous treats and toys in the pit for your dog to dig and enjoy. Do not forget to reward your dog with more treats and attention if he/she digs up the right spot - away from your garden beds. Do you have more clever tips that will help keep dogs out of garden beds or flower beds? Let us know! Either way, share these very useful tips with your friends!